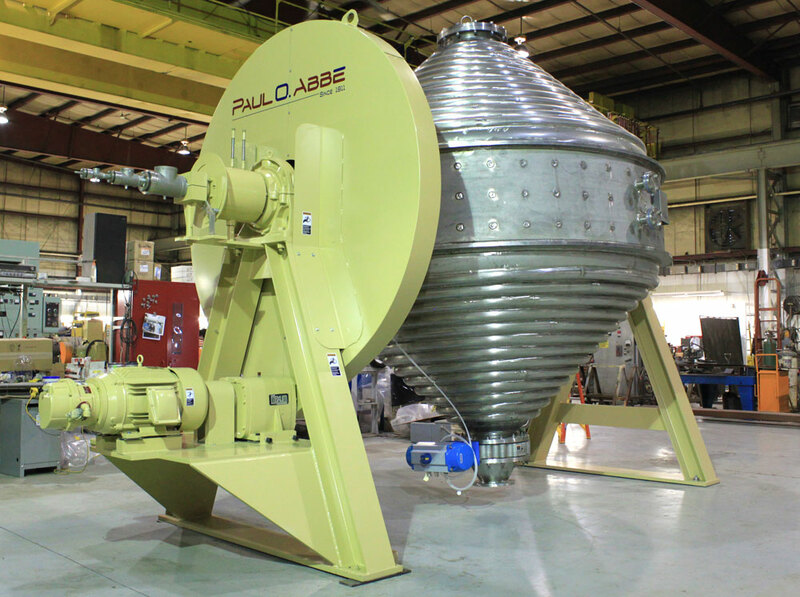 For more than 100 years, the Paul O. Abbé name has signified custom designed and manufactured quality size reduction mills, solids mixers and blenders and vacuum drying systems for virtually every process industry. Starting in 1911 in Little Falls, New Jersey, Paul O. Abbé first provided the mills for the fine milling and dispersing of pigments used in the local silk dying factories. Expanding into other industries, even such notables as Thomas A. Edison realized the benefits of Ball Mills and utilized Paul O. Abbe Jar Mills at his laboratory in Menlo Park for fine grinding a variety of raw materials used in his research. 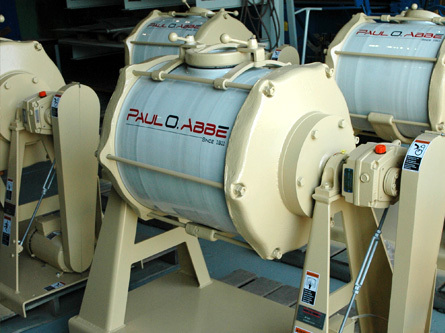 During the next 100 hundred years, under the guidance of a new generation and company, we, under the Paul O. Abbé brand, will develop vacuum dryer technology and mixers for solids and paste. 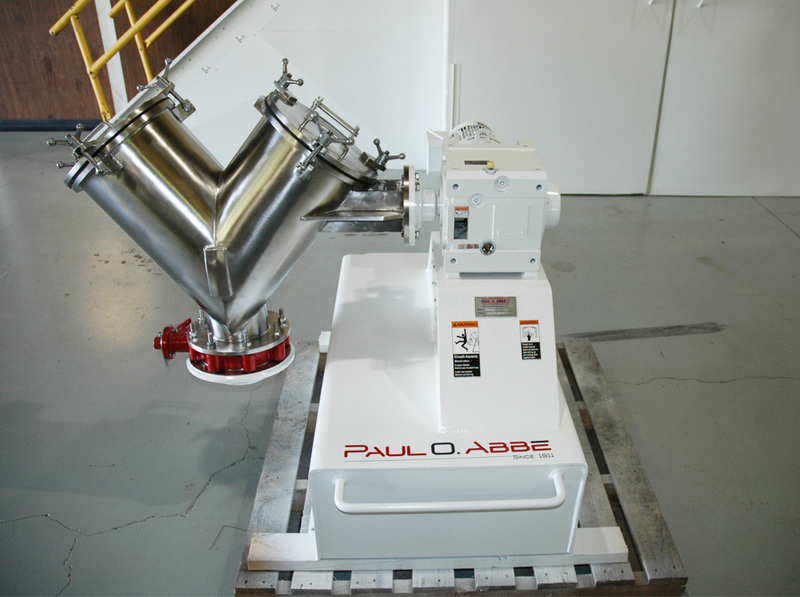 Paul O. Abbé brand process equipment can be found in all industries from advanced ceramics and semi-conductors manufacturing to composite fibers, polymers, agricultural chemicals, food and pharmaceutical manufacturing. Let us apply our broad range of expertise and equipment to solve almost any solids drying, mixing or milling application. 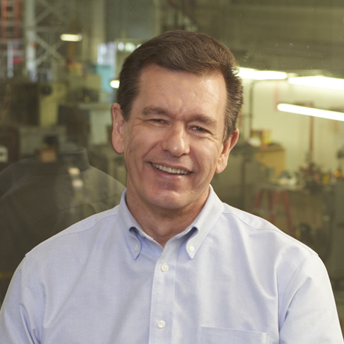 At Paul O. Abbé, we strive to be the supplier you can count on for quality products, service and process know-how. 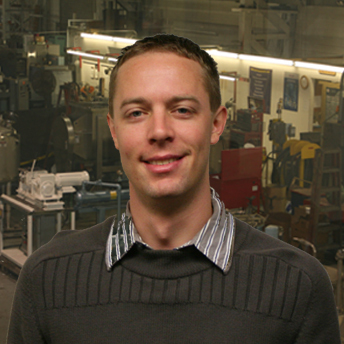 Our engineered process equipment is tailored to your process. We understand your needs and we know how to specify the correct equipment for blending, mixing, dispersions, size reduction and solids drying. 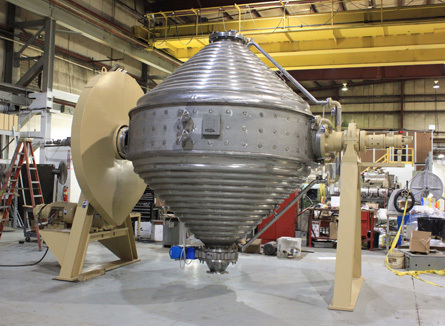 Rota-Cone® Vacuum Dryers are one of the most energy efficient, gentle and cost effective methods for drying solids to very low moisture levels. Because of the reduced vaporization temperatures possible under vacuum, Rota-Cone® Vacuum Dryers are ideal for drying heat-sensitive products including food ingredients and pharmaceuticals. 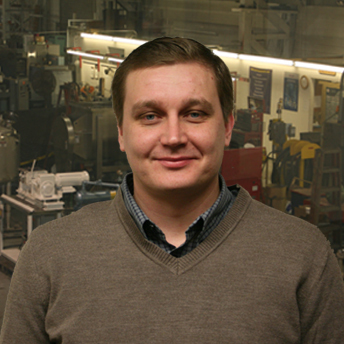 Rota-Cone® Vacuum Dryers are also ideal for developing the deep vacuum and temperatures necessary for solid-state polymerization of polyethylene terephthalate (PET) and polybutylene terephthalate (PBT). 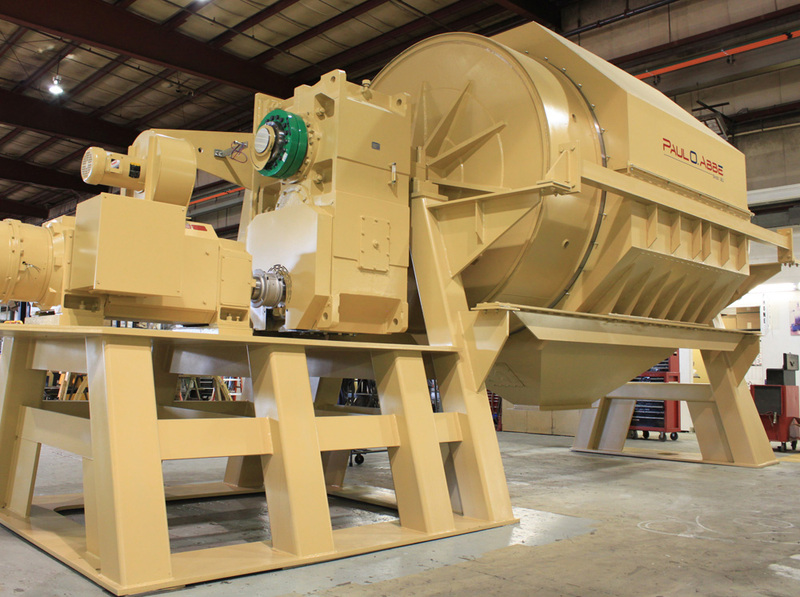 Rota-Cone Dryers are also rugged enough to blend and dry powdered metals with bulk densities up to 300 pounds per cubic foot. 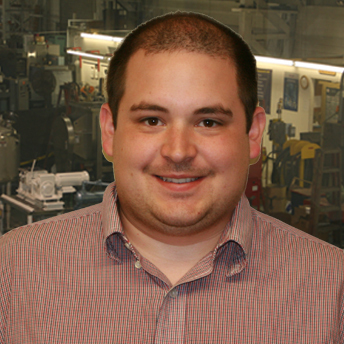 Horizontal Rotary Vacuum Dryers extend the range of drying applications by starting with slurries or pastes. Ball Mills are referred to by many names including Pebble Mills, Tube Mills and Attrition Mills, but no matter what the nomenclature they all operate on the same efficient principle. A horizontal cylinder is rotated at a predetermined speed that sets the balls into a tumbling and cascading motion which impact the solids in a very predictable and controllable fashion. 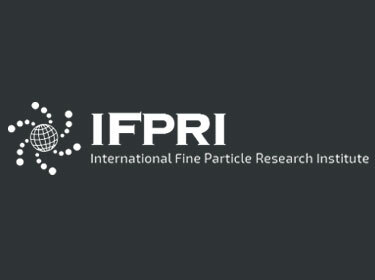 Because the process takes several hours, the particles will not only be finely milled, but will exhibit a narrow particle size distribution. 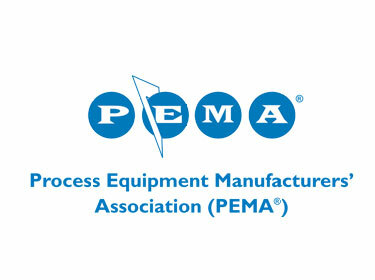 Ribbon Blenders and Paddle Mixers are cost effective and widely used for blending solids and light pastes in all process industries. 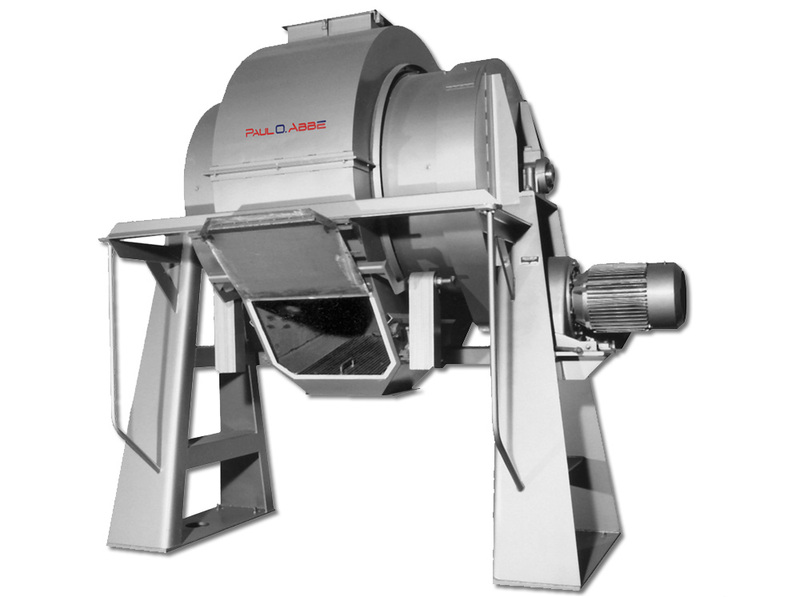 Tumble Blenders offers a simple low-shear method of mixing all solids including friable and delicate solids. 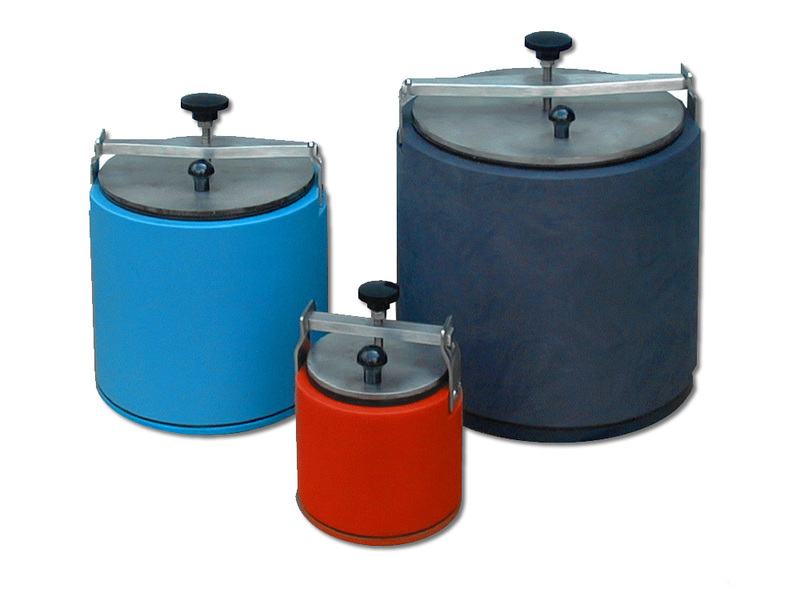 The clean internal design provides complete discharge and easy cleaning. 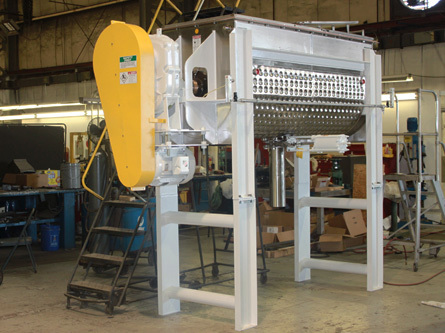 CrossMix® Fluidizing Mixers gently blends solids in a weightless zone in as lttle as 7 seconds. The CrossMix® is ideal for mixing applications requiring high homogeneity or blending delicate and friable solids from trial mix or fertilize prill to crystalline pharmaceuticals crystals. 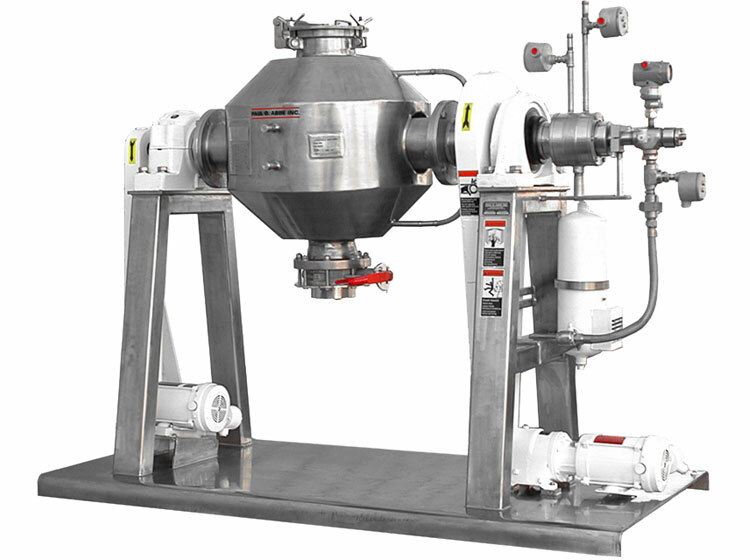 Double Arm Mixers and Mixer Extruders are rugged mixers designed to mix and compound plastics, rubber, adhesives, mastics up to 10,000,000 centipoise and solids such as carbon paste, powdered metals and ceramics.